Born Nov. 5, 1955, Steve is the third of six sons born to J.C. and Sadie Monts Holland. A fifth generation Lee Countian, Steve graduated in l973 from Nettleton High School, from Mississippi State University in l977 with a degree in Business Administration, graduated from Northwest Community College Department of Mortuary Science in l981 and received his Masters of Art Degree in Southern Studies from the University of Mississippi (Ole Miss) in 2005. The Hollands are generational farmers by profession. J. C. Holland was the first Mississippian named "Outstanding Farmer of America" in l965. At their apex, they were farming over 9000 acres in three Mississippi counties and boasted their own pedigree, the Sadie J, of registered Black Angus Cattle. Steve managed to spend almost three years in Washington, D. C. working for the late Congressman, Jamie L. Whitten and later spent time with Senator Thad Cochran. 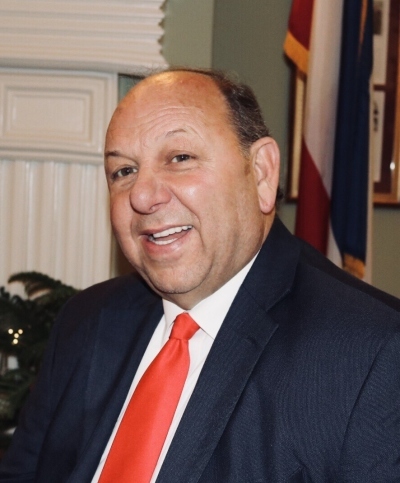 He worked for 12 years at McGrath-Rasberry Funeral Home in Tupelo, several years at W. E. Pegues and helped establish and grow, with partners, Lee Memorial Funeral Home, Mausoleum, Cemetery and Crematory in Verona, which they sold in 2000. He also previously owned Century Funeral Home in Batesville, Miss. and was a founding partner in Seven Oaks Funeral Home in Water Valley, Miss. 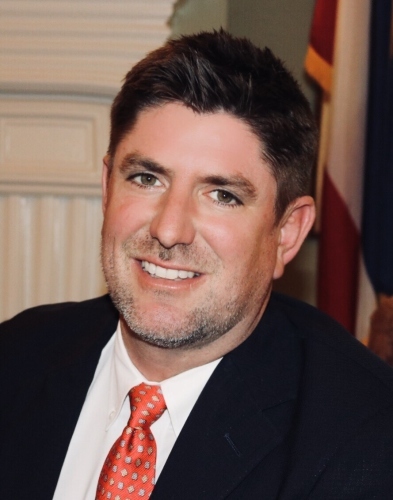 In l983, Steve was elected to the Mississippi House of Representatives from Lee County and has continuously held that seat to the present day. He chaired the Agriculture Committee for 16 years, the Public Health and Human Services Committee for 12 years and, for 24 continuous years, was Subcommittee chair of the Appropriations Subcommittee on Health Care and Medicaid. In 2017, he was the first Mississippi legislator to be inducted into the Mississippi Political Hall of Fame. He has won hundreds of awards for his work with the least, last and most vulnerable among us and has held several national legislative positions. A tree farmer and an active member of the First United Methodist Church in Tupelo, Steve also serves as church pianist/ organist for Unity Presbyterian Church He serves on numerous boards and commissions including his passions, the Regional Rehabilitation Center which provides, at no charge, services to countless handicapped and disabled citizens all over Northeast Miss. (Board service since l973), the Sanctuary Hospice House, which he helped establish, Tombigbee Electric Power Association for 24 years and the Tupelo Luncheon Civitan Club. He is a 32 degree KCCH Scottish Rite Mason, a member of Lambda Chi Alpha Fraternity, and is an acclaimed speaker and writer. An avid reader and historian, Steve boasts over 1000 first edition Southern authored books in his personal library. He and his wife, the former Gloria Temple, a professional mental health therapist, live in Plantersville, a small town outside of Tupelo, where Gloria is serving her second term as Mayor. They have 4 adult children and two granddaughters and two grandsons. Sadie Monts Holland is the only daughter of the late Joe Thomas and Christine Roebuck Monts. 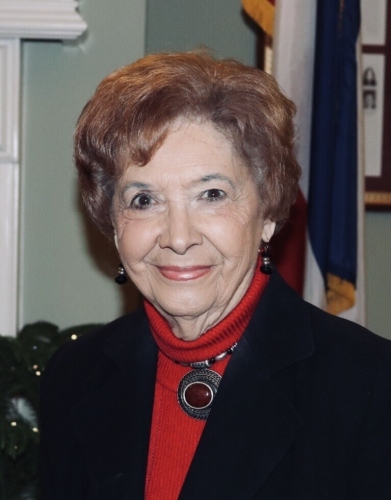 Born Jan. 31, 1933 in Lee County, she grew up in the Palmetto Community and moved with her husband and six sons to Plantersville in 1959 where they established the Sadie J Farm. Both she and J.C. and their families were honored by being named Outstanding Farm Family. 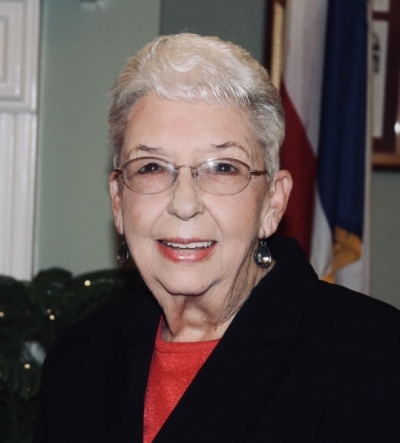 In keeping with the family's commitment to public service, Miss Sadie served as Mayor of Nettleton from 1981-1985, and has presided over the Justice Court of Lee County in Nettleton since 2003. McKinley, son of Steve and Gloria Holland and grandson to Sadie, was born August 28th, 1985 in Tupelo, MS. McKinley grew up in Tupelo and Plantersville and graduated from Tupelo High School in 2003. He's a 2009 graduate of Mississippi State University. 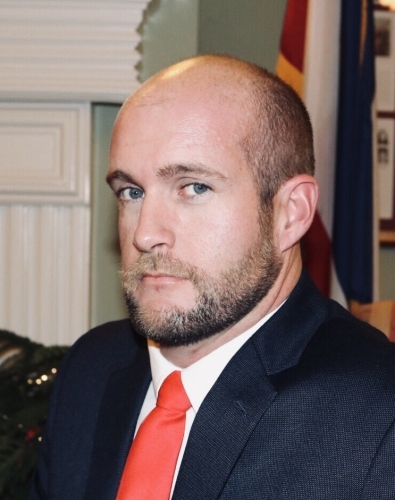 Mac joined the staff in June of 2018 after spending 9 years teaching and coaching at Tupelo High School and Pontotoc High School. 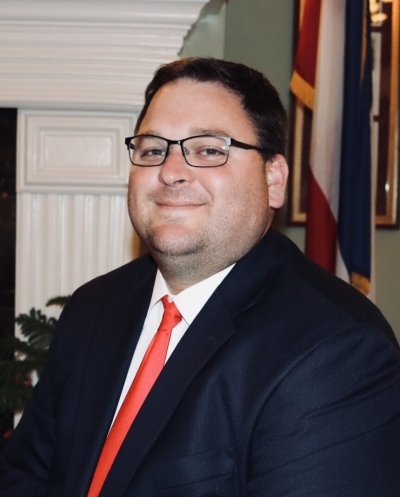 He is currently the Head Coach for the Tupelo 49er's American Legion baseball program and a paraprofessional assistant coach for Tupelo High School boys soccer team. He is the co-host of the What's Happening Podcast sponsored by Blue Delta Jeans. Sis and the Hollands have been together for over 15 years in funeral service. She and her late husband, Roger, owned a mobile home transport/setup company for years. Sis is a "whiz" in filing insurance, knows our clientele, and can meet your needs for office assistance with ease and excitement. Sis lives in the Union Community south of Plantersville in Lee County. Vicki A. Rushing is a licensed funeral director with 28 years of experience in at-need, life, and advance planning and insurance for funerals and burials. 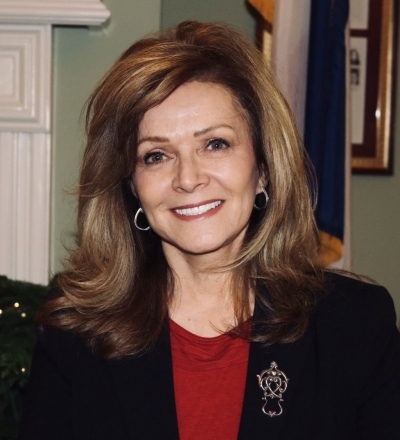 Vicki is a 1973 graduate of Mantachie High School and attended both Itawamba Community College and Birmingham Southern College, completing a 3-year program in Trust, Estate Planning, and Fiduciary Law. 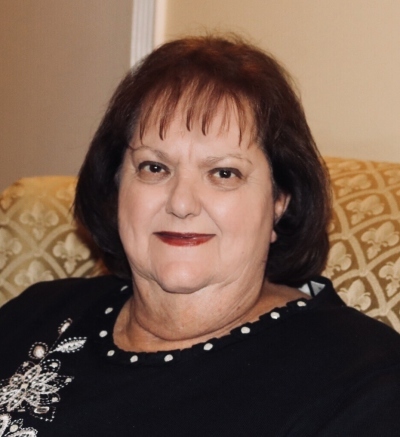 Vicki started a fifteen year career as an administrative assistant in the trust department of Bancorp South in Tupelo and administrative Specialist/ Problem Solving Specialist for Wachovia Bank in Atlanta, GA.
She lives in Tupelo with her husband, Bro. Danny Rushing, who pastors at Dorsey Baptist Church. They have three grown children and three grandchildren. Vicki is the organist for the church, and enjoys doing charitable work and helping others. She operates a sewing business, “Vicki’s Originals,” from her home, specializing in the design and tailoring of formal wear and window treatments. Vicki has a creative, entrepreneurial mind in developing new products for the marketplace. Vicki joined the Holland Funeral Directors staff in November, 2011. Robert, son of Kristi Pearce Tutor and James Winters, was born on December 29, 2000 in Tupelo, MS. 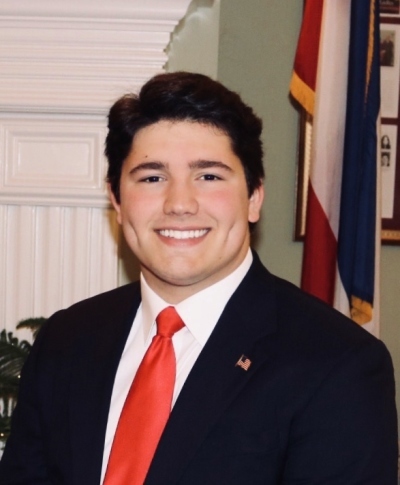 He is currently a Senior at Mooreville High School where he has a 4.2 GPA and is the Senior Class President, FBLA Member, and Beta Club Member. He plans on attending Mississippi State University after high school to major in Public Policy and Management. Robert meets almost every need media wise with a professional and timely manner. He is very knowledgeable in the day-to-day operations of Holland Funeral Directors to serve one's needs. Kevin is a native Hoosier, moving from Indiana to Alabama when he was a preschooler. He was raised in Cullman, Alabama, and attended first grade through high school in the Cullman city school system. Kevin studied at Southern Benedictine College before graduating from the University of Alabama with a major in television broadcasting and film and a minor in marketing. He began his career in ministry with study at Mid-America Baptist Theological Seminary in Memphis, and graduated from New Orleans Baptist Theological Seminary in 1993. 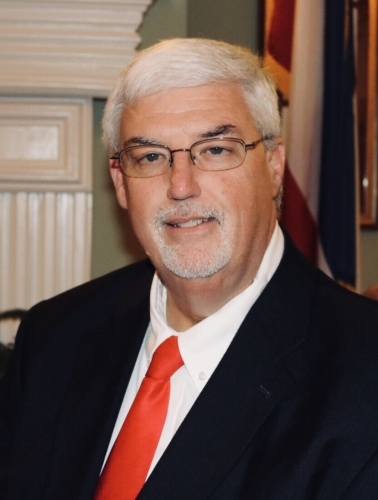 For twenty-seven years, Kevin served full-time as minister of education in Southern Baptist congregations in Tennessee, Louisiana, Alabama, and Mississippi. During his church ministry years, Kevin served in the capacity of minister of youth and recreation, minister of youth and older children, minister to senior adults, administrator and education minister. He is a recent graduate (2014) of East Mississippi College with an Associate’s Degree in Funeral Services Technology. Kevin passed his National Board Examinations in funeral directing (Arts) and embalming (Sciences) and is fully licensed as a funeral director/embalmer. Kevin married Amy Bates Hurt nineteen years ago, and they have two children, Andrew, 17, and Ethan, 13. He is an avid reader, and loves reading biographies, and books on theology, nanatology, history, and politics. Kevin and his family live in Fulton, Mississippi. Evelyn is a lifelong Tupelo resident, graduate of Tupelo High School(53') and Mississippi University for Women, and a former U.S. Postal Service employee(retired 92'). Evelyn is the proud mother of 4 children and grandmother to 4 grandchildren. She serves us a greeter and liscensed pre-need counselor.